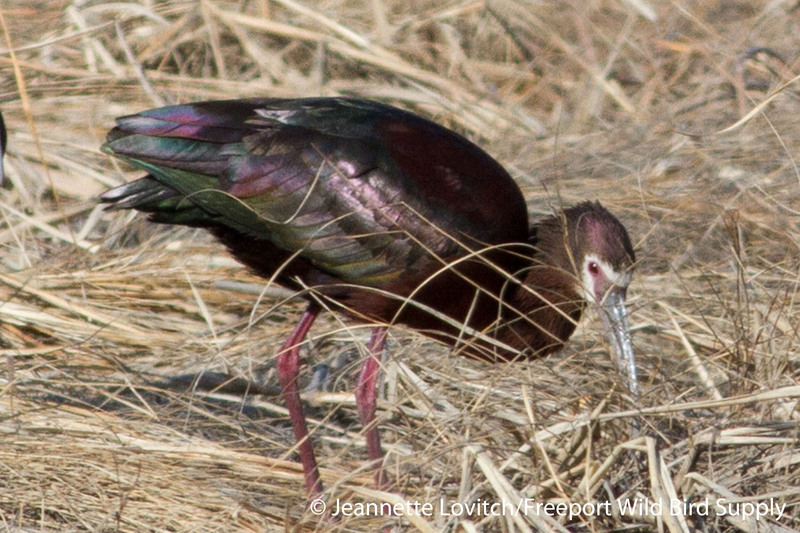 For the 7th consecutive spring, White-faced Ibis have been found in Scarborough Marsh. I found the state’s 5th record in 2008 – a single adult bird – and in each of the next three years, a single adult bird was seen. It is more than likely that this was the same adult returning for each of those years, and likely beyond. 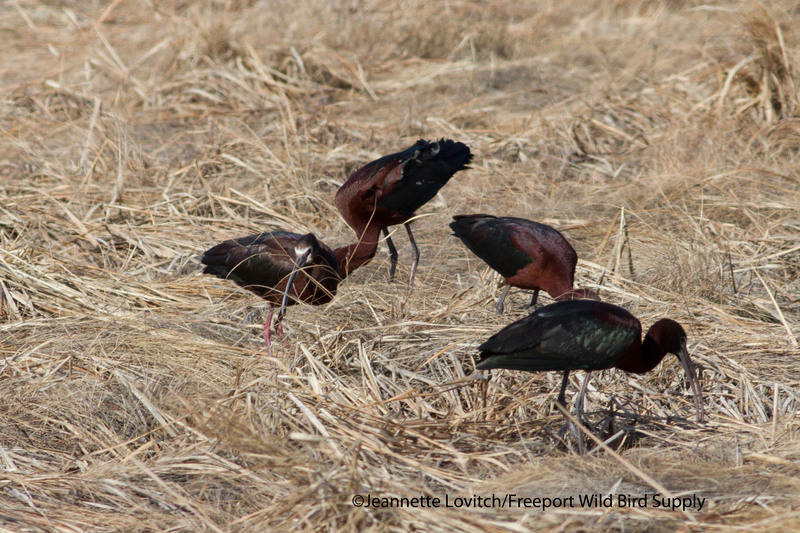 Things became a little more muddied in 2012, however, when three different White-faced Ibis (WFIB) were documented (that spring, I wrote an extensive blog summarizing the difference and the previous records. Although that was posted to my old Mainetoday.com blog that has since imploded, if anyone would like a copy of that synthesis, please let me know). Photos from 2012 can be seen here. 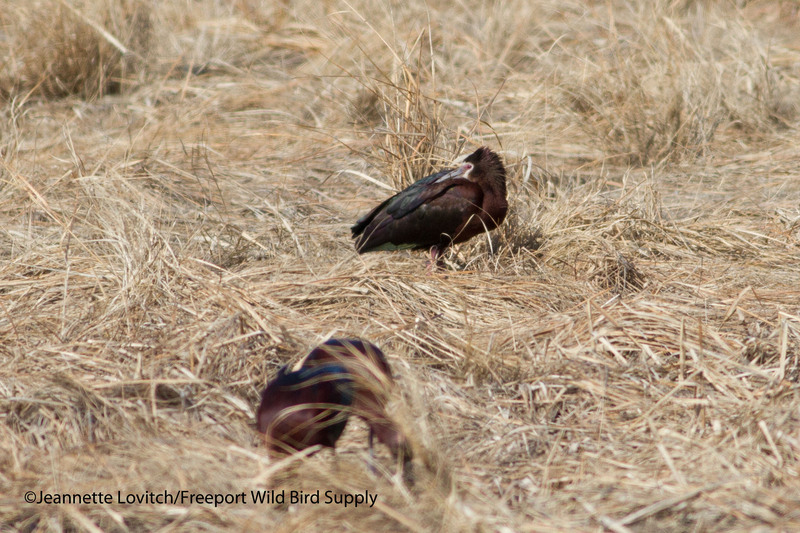 Additionally, some earlier photos of the sub-adult bird can be seen here, although they are not of high quality. In 2013, at least three individuals were identified once again. So the question becomes are these birds all related? How many of these individuals have shown up for home many consecutive years? And, are they breeding? Last year, WFIB were spotted on occasion through the end of the summer, confirming that the birds are not just spring overshoots or drift vagrants. 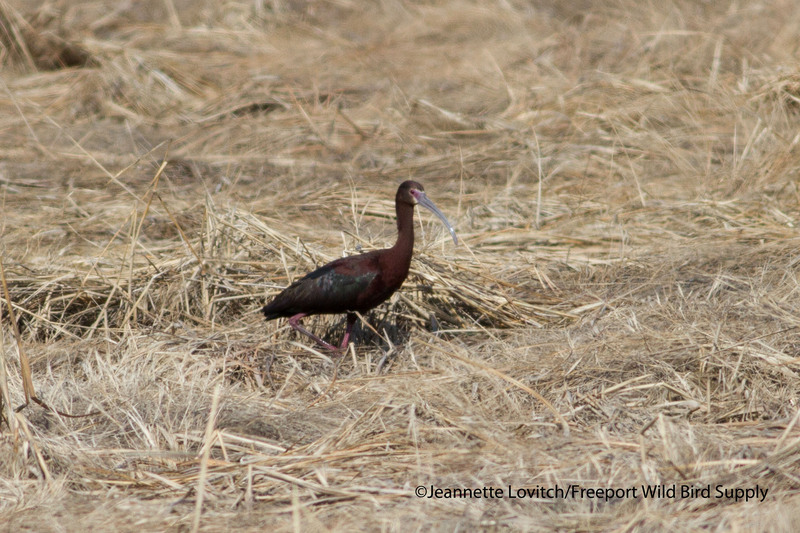 Although the detection of – and ability to study the – ibis becomes much more challenging as the season progresses due to the growing marsh grasses, last year WFIB was a semi-regular sighting in the marsh. Some of my photos from July and August of last year can be seen here. 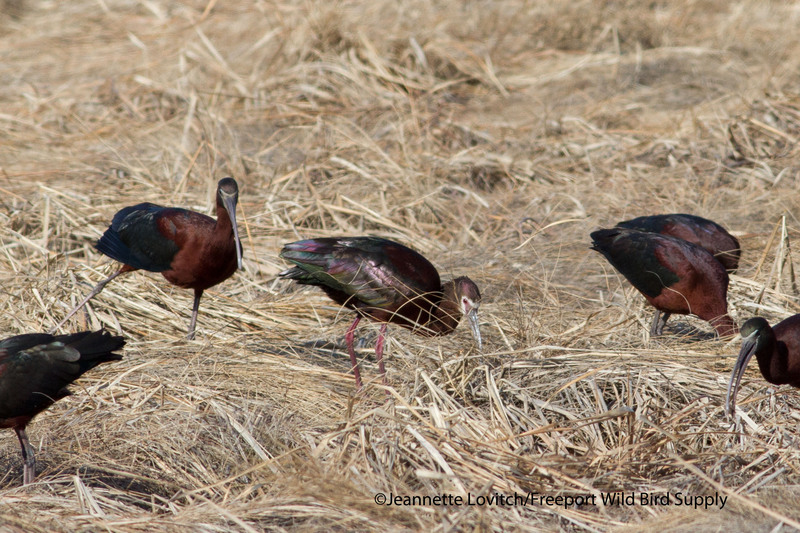 Juvenile WFIB are impossible to separate in the field from juvenile Glossy Ibis in the late summer and fall (by late winter, the development of the red eye and perhaps even facial skin coloration would at least tip us off to the possible identification). 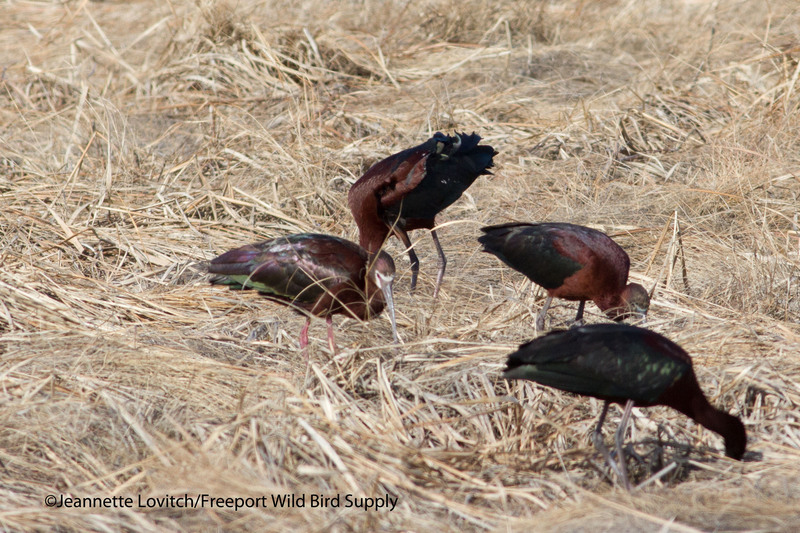 Therefore, if breeding is to be confirmed, it would likely have to be on Stratton Island – where they would likely breed within the large colony of Glossy Ibis (GLIB) – or, by conjecture as a population increases. 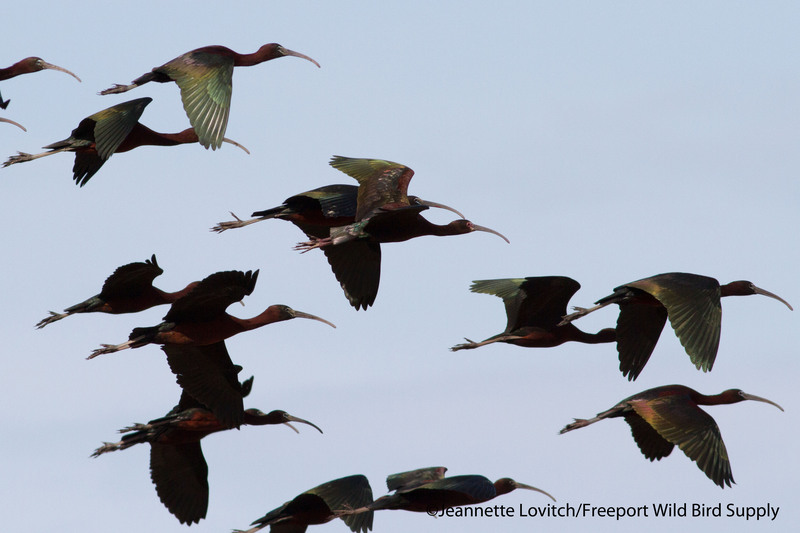 Figuring out exactly how many birds are seen each year, and their ages, could help us track potential breeding (and perhaps eventual colonization?). It’s also fun – if you like this sort of thing. Each year, WFIB show up in late April, about the time that the majority of the GLIB arrive, and this year, the birds were first reported on Saturday (4/19). Two to three birds were reported, and over the past week, we have tried to determine exactly how many birds they are, and, if possible, what ages they are. On Sunday, Jeannette and I were planning on heading to the marsh in the afternoon anyway (to take advantage of the high tide on our rare extra day off), so looking for the WFIB first reported on Saturday added extra incentive. And luck was with us. As soon as we arrived at the marsh, we found a group of about 70 GLIB foraging close to Pine Point Road. 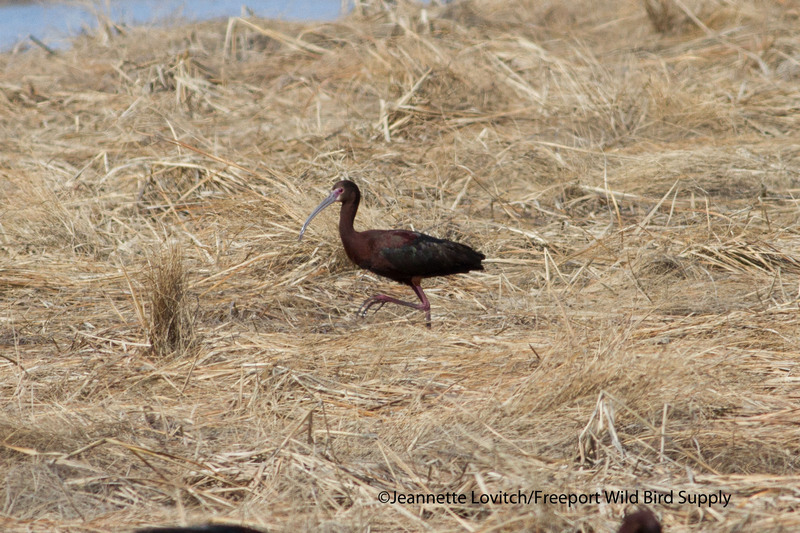 We jumped out, and immediately found two White-faced Ibis within the group, along with one other bird of interest (a bird that looked absolutely fine for a pure GLIB, but with distinctly reddish-pink knees, and perhaps a pinkish hue on the rest of the leg. Jeannette, unfortunately, was unable to get photos of this individual). Most obvious, there was this “bright-faced” bird. Although the facial skin, especially right at the base of the bill, has a slight grayish tint, I see no reason to argue that this is anything other than an adult bird (or very near-adult, perhaps). Secondly, there was this “pale-faced” bird. Note the greatly reduced amount of white around the face, with no white behind the eye. In the field, I called this bird a sub-adult, but on close inspection of the photos, I don’t feel comfortable calling its age – other than it is definitely more than a year old. Although there isn’t much white on the “face,” the pure red eye, pink facial skin, and pinkish legs with brighter red-pink knees are all fine for an adult, in fact, as are the spiffy, glossy tertials. Perhaps a spread-tail shot could help confirm this. It might simply be a dull (facial-marking-wise) adult. Meanwhile, photos from other folks suggest that a third WFIB, or perhaps a hybrid, is present. If it is, perhaps we will be able to compare these birds to those of last year, and perhaps even conclude that the same three birds are back. 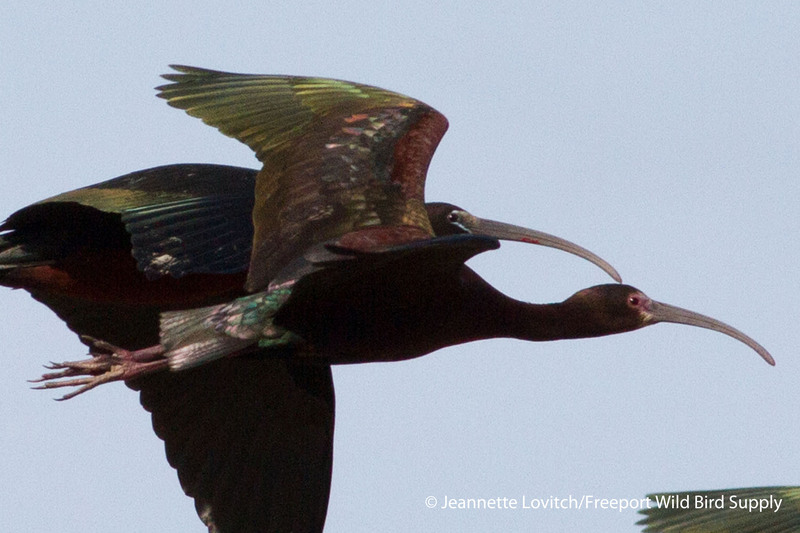 Regardless, it will be an interesting exercise, and quite the challenge, as ibis are a real challenge to age. In fact, we might not even know for sure how to age them! Of course, you know me, that doesn’t necessarily stop me from trying. What intrigues me is that we have not yet documented a hybrid, even after an adult was present for 4-5 years. Since out of range WFIB are well known to hybridize with GLIB (and visa-versa), we often expected to see hybrid kiddies running around (at least by next spring when they would have been noticeable). Perhaps it did not breed, or the young did not survive. And/or perhaps it waited long enough for another WFIB to arrive. Whatever is going on, it will be most interesting to watch, this summer and beyond. 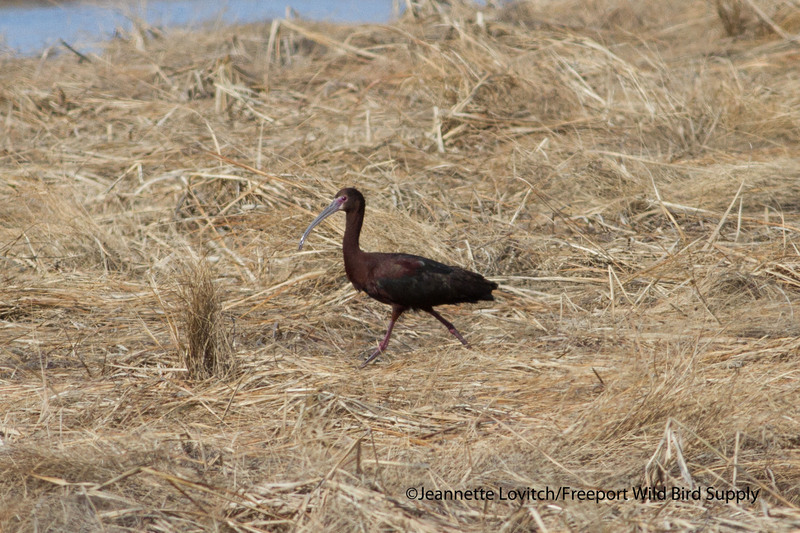 This entry was posted in Birding in Maine and tagged Birding, Glossy Ibis, Scarborough Marsh, White-faced Ibis on April 24, 2014 by Derek. So glad I found this post! I first saw these birds over at Wainright field last year (2013) and new they were something “different” that I’d never seen in Maine before (lived here for 35 years) but I could not get a good picture of them nor identify them on any “Maine bird” websites. Then, this spring, I saw them again off Pine Point Road in the marsh and saw people stopped taking pictures. Great to finally know what I’ve been looking at. I’m not a birder, but I’m a “want-to-be” birder 🙂 Thank you for posting this! 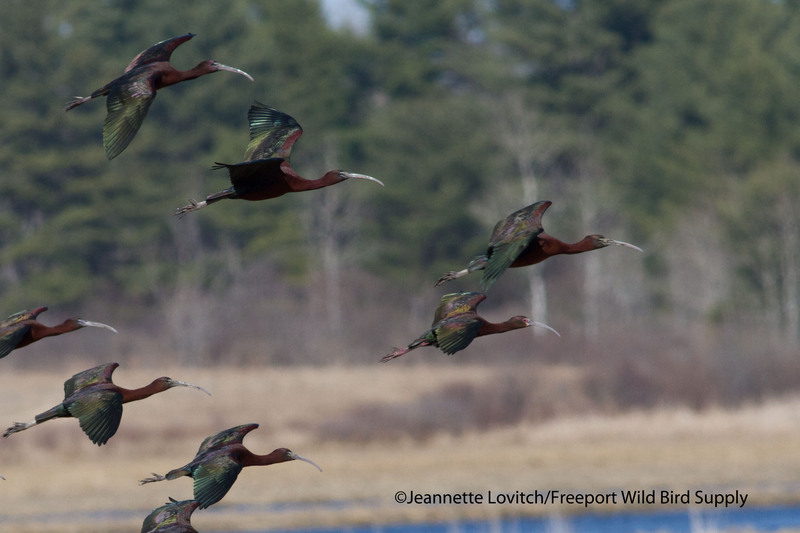 Yes, Joe, Glossy Ibis occur in Maine. There is a large colony off of Scarborough/Old Orchard Beach of +/- 60 pairs, and likely still a small colony near the east side of Casco Bay. 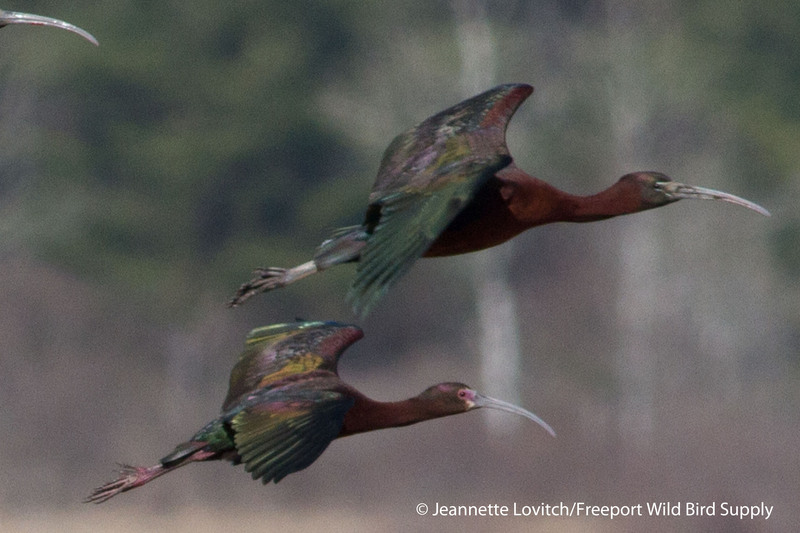 A small number of Glossy Ibis from one or both of these colonies are fairly regularly seen at Popham.